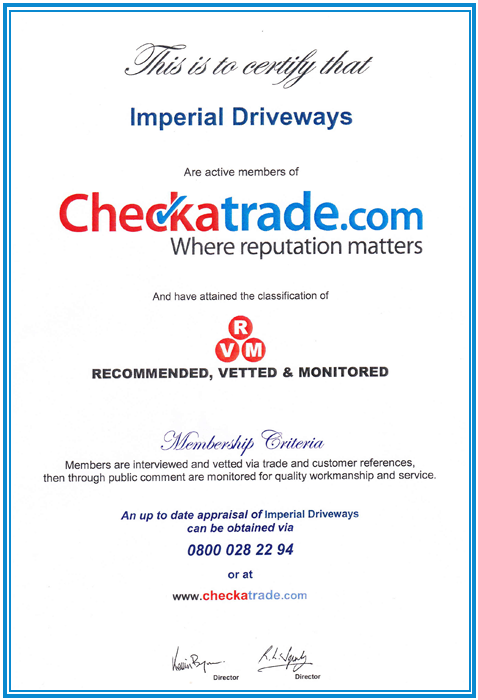 Imperial Driveways are the Sidcup, Kent based pattern imprinted concrete paving and driveway experts. 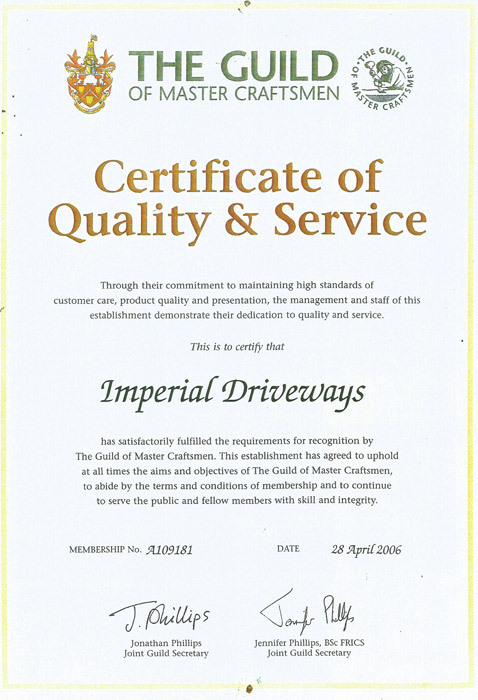 We have over 23 years of experience in the paving industry. 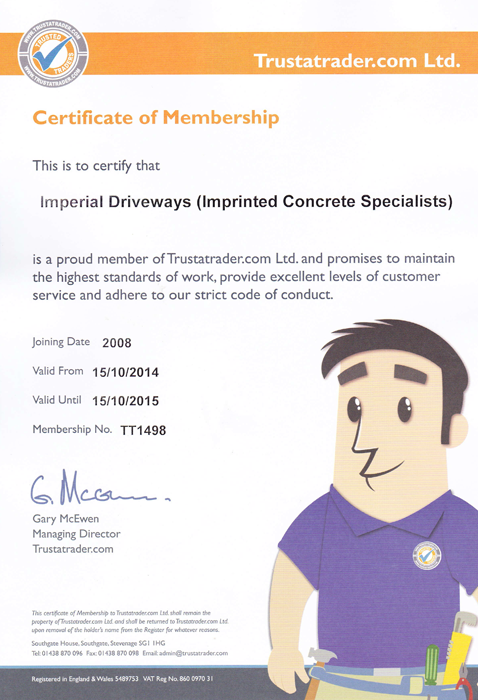 All our paving installations are carried out by our own team of installers, each one of them employed by Imperial Driveways and specialising in pattern imprinted concrete paving. A beautiful new driveway, path, pool surround or patio makes such a difference to any home. We offer a wide variety of paving styles to suit any property, be it modern, traditional or contemporary. We also provide a wide range of colour and design options from which you can select the most appropriate for your home. Our surveyor will offer advice on design, layout and all technical aspects of the installation. Weed free and low maintenance paving will not only make your life easier but will also add value to your property and enhance its appearance. Styles of paving include York stone, slate, cobblestone, brick and timber decking, all with authentic texture and shading. With over 100 colour combinations to choose from, we can ensure you will find the finish you are looking for. Once you have selected a the design and colour combination, you can then also select from a range of custom features such as circles, solider courses or other details that will ensure your paving is truly unique. Ask our surveyor for details of these features and discuss how they can be included in your installation. All technical aspects of your project will be dealt with including drainage requirements, manhole covers, and the location of expansion and contraction joints, site preparation and installation. We will endeavor to ensure that your installation is both swift and trouble-free with minimal disruption to your daily life. Most installations are completed within one week of commencing work on-site.